The Wage and Hour Division (WHD) of the federal Department of Labor (DOL) announced a new pilot program aimed to help resolve potential overtime and minimum wage violations under the Fair Labor Standards Act (FLSA). More information about the Payroll Audit Independent Determination (PAID) program will be available in the coming weeks, but the DOL has given some preliminary information about the program’s general framework. The DOL intends for this self-audit program to help employers proactively resolve potential FLSA violations. The goals include resolving potential minimum wage and overtime issues more quickly, without (expensive) litigation, and to improve compliance generally. This new program will be tested for approximately six months, at which time the WHD will consider its effectiveness, potential changes, and whether the program will stick around. So what incentive does an employer have to participate, you ask? If an employer participates and cooperates with the DOL to resolve any wage problems, the employer will still be required to pay all back wages due, but will not be assessed additional liquidated damages or civil monetary penalties. Additionally, the preliminary materials suggest that an employee who accepts payment of back wages under the PAID program may be required sign a release of claims (although it will be specific to the identified violations and period of time for which the back wages are being paid). Employers who want to participate must first conduct a thorough self-audit to identify potential violations, affected employees, and relevant time frames. Thereafter, the employer may contact the DOL and ask to participate in the PAID program. Assuming the DOL grants the request, it will ask the employer for additional information about the calculations and violations, and certifications that the employer reviewed various compliance materials and information, is not involved in any kind of pay litigation or dispute, and will make adjustments to comply going forward. 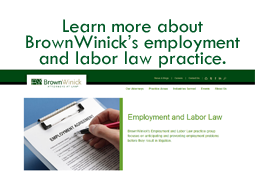 If you have questions about the DOL’s new PAID program, coordinating an internal review or wage and hour audit, or related issues, contact wage and hour attorney, Megan Moritz, or another member of the Employment Practice Group, and we would be happy to assist you.